Submitted by adventuress-in-… on March 22, 2015 – 12:00pm. 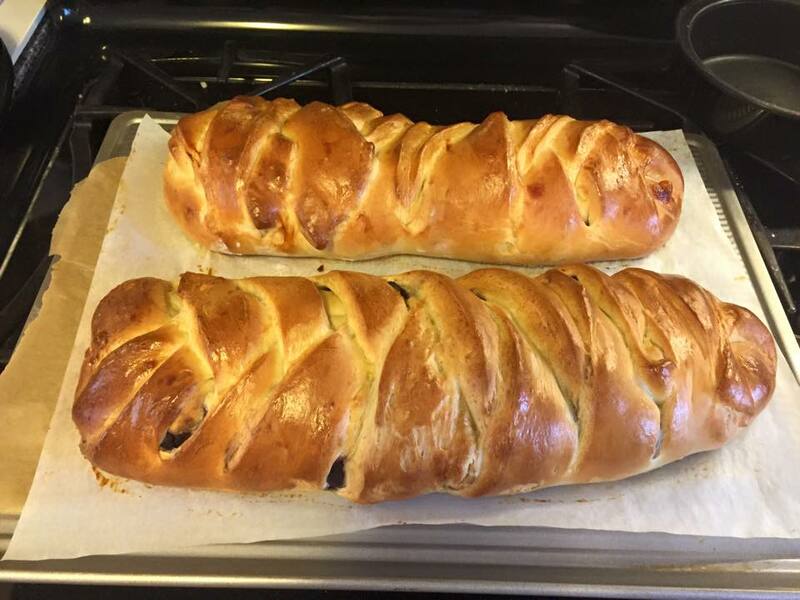 After seeing the recipe in the feed for the Blueberry Cream Cheese Braid I just had to try it. And after today’s success, I’ll be making it for my knitting club members this coming Friday. I used to buy the fundraiser Butter Braids but this recipe is soooo much better. And we used to think those were great. Not anymore! I’ll be making this recipe from now on. Next up on the baking schedule: Sour Jewish Style Rye. I’m a tweaker, I’ll admit it. Its like a sickness. I can’t leave well enough alone as I’ve said before. Sooooo…. The Brooklyn bakery, in Waterbury, CT makes a really nice rye bread. And it was our go-to bread. I’d buy the big loaves, slice them and freeze them in ziplocs in 2-3 day quantities. The local German deli used to stock it, delivery was only on Fridays. But the bakery doesn’t deliver to this area anymore we’re out of luck! And since I’ve starting baking again in retirement, I began researching recipes. I know the Waterbury bread was a lot lighter in color and more dense in crumb. Here’s today’s bake fresh from the oven along with a picture of the crumb. Taste is right on…hubby is very happy…but I think I’ll proof it a little less next time and hope I get a rounder shape.